Genesis Oxid is series of high-performance cooling pads with effective cooling system that increase the efficiency of your laptop. With its ergonomic construction you get a sense of comfort during long gaming sessions. Genesis Oxid 550 is a pad with a large cooling surface made of high-quality aluminum, which additionally enhances heat dissipation. Its construction ensures perfect cooling of both larger laptops up to 17.3” and smaller ones, improving significantly their operation. 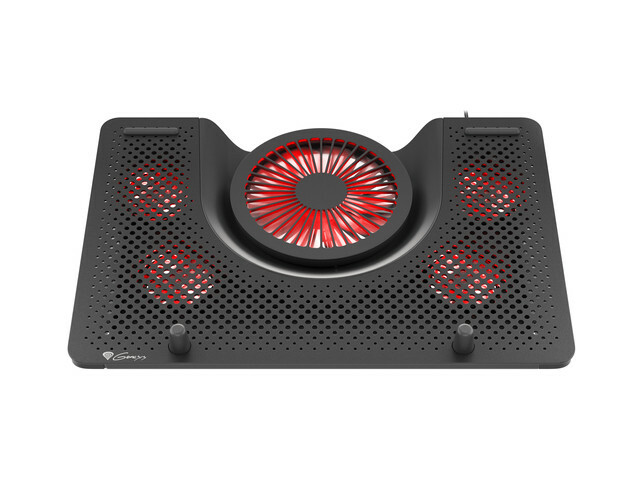 The cooling system in Genesis Oxid 550 is based on four smaller fans dissipating heat from under the laptop and one large fan providing efficient cooling airflow. 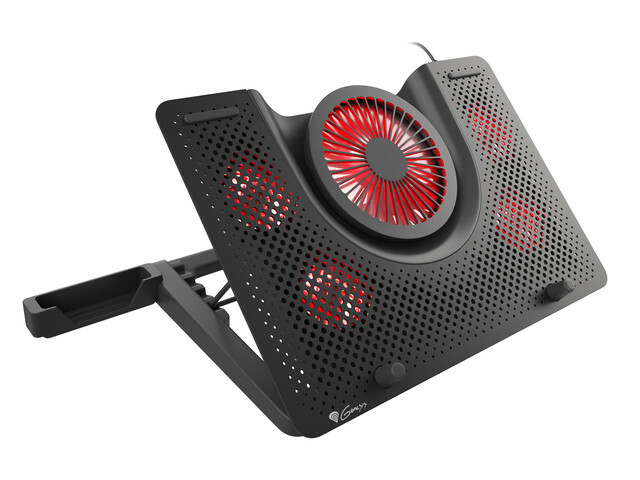 With red backlight on each of the fans Genesis Oxid 550 gets a real gaming look. 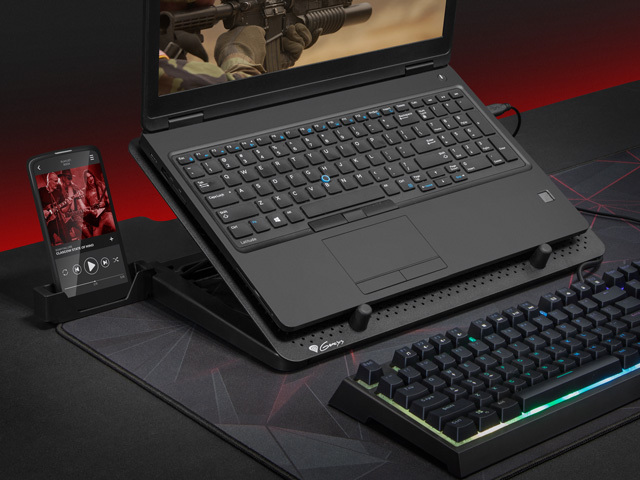 Genesis Oxid 250 provides proper viewing and typing angles with five height adjustment settings for user’s conformity and wrist protection, which can make huge difference during a long gaming fight. 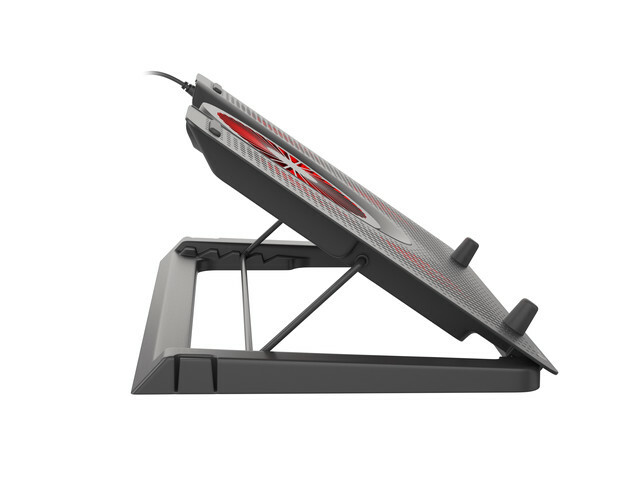 The pad is equipped with rubber anti-slip stands to avoid any undesired movement during usage. The detachable mobile stand is an additional feature - it can be fixed to the stand on either side making Oxid 550 even more useful tool on every desk.